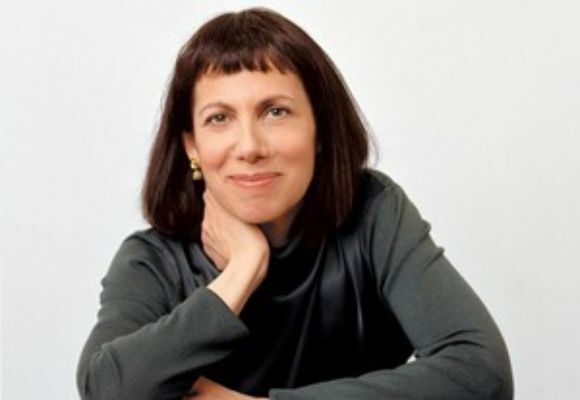 Before embarking on her musical career, NYC based jazz pianist and composer Leslie Pintchik taught English literature (as a teaching assistant) at Columbia University, where she also received her Master of Philosophy degree in seventeenth-century English literature. While in graduate school, she decided to change course in an effort to give music a larger place in her life. After some years of study, jam sessions and local restaurant gigs, Leslie surfaced on the Manhattan scene in a trio with legendary bassist Red Mitchell at Bradley's. Red chose Leslie (along with guitarist Scott Hardy) for the warmth and powerful interplay he heard in their music. Red Mitchell wrote "Leslie Pintchik and Scott Hardy play miraculous music - in tune in all ways. And you can quote me on that." In 1992, Leslie formed her own trio with her musical partner Scott Hardy (now playing bass instead of guitar) and with drummers Keith Copeland, Rich DeRosa and most notably, the percussionist Satoshi Takeishi, and the drummer Mark Dodge, with whom they have worked and toured since 1998. Her trio performs primarily in the New York City area at jazz venues that include the Kitano, the Blue Note, Knickerbocker, 55 Bar, Sofia's and Watercolor Cafe. The group was one of four finalists in the 1995 Cognac Hennessy Jazz Search; subsequently, they shared a double bill with the Jay Leonhart trio at the Blue Notel. More recently, the trio performed as part of the JVC Jazz Festival at the Kitano Hotel in Manhattan. In a review of their performance at the Canadian Jazz Expo in Toronto, Doug Watson of Jazz.FM91 wrote that he "found the group's playing to be the most musically satisfying listening experience heard there. All the essential elements were in place - well-constructed originals, great improvising and what really set this group apart from everything else I heard that weekend was its solid sense of swing!" About their demo recording Completely with Mark Dodge (which featured Leslie and Scott's original compositions), Jim Hall said, "I love the CD. The very first sound kept my attention All the Way. I loved the tunes and I loved the playing." Leslie, with Scott and percussionist Satoshi Takeishi, released her debut CD entitled So Glad to Be Here on Ambient Records in June 2004. In his review in Downbeat magazine, Ken Micallef writes "... Pintchik's music is fresh, full of light and instantly invigorating.... So Glad To Be Here is simply a joyous release.... Pintchik and Takeishi express such playfulness in their musical conversations... that their elation is contagious." Her second CD (Quartets), also on Ambient Records, was released in October 2007. It features her working trio of bassist Scott Hardy and drummer Mark Dodge, with special guest artists Steve Wilson on soprano and alto saxophones, and Satoshi Takeishi on percussion. Timeout NY writes "Pianist Leslie Pintchiks playing urges the same kind of reflection in her listeners that she uses to make things sparkle. Just check the reserved but gorgeous version of 'Happy Days Are Here Again' on her new album, Quartets." In the fall of 2010, Leslie released two new projects: her 3rd CD (We're Here To Listen), and a DVD/CD combo (Leslie Pintchik Quartet Live In Concert). The jazz journalist and scholar W. Royal Stokes included both projects in his "Best of 2010" list, and Jim Wilke, creator of the nationally syndicated "Jazz After Hours" radio show also included We're Here To Listen on his "Best CD's of 2010" list.